Below you fill find all funeral homes and cemeteries in or near Fort Morgan. Suburbs of Fort Morgan: Log Lane Vlg, Raymer. Fort Morgan is also known as: Morgan County / Fort Morgan city. Their current mayor is Mayor Terry L. McAlister. Zip codes in the city: 80701, 80705, 80742. Morgan County funeral flowers can be purchased from one of the local funeral shops we partner with. Fort Morgan has been featured in films like: Dumb & Dumber (1994). Some of the notable people born here have been: Ryan Jensen (athlete). It was written on December 13th, 2018 that Kelvin Ray "Pat" Boyer passed away in Fort Morgan, Colorado. Boyer was 74 years old and was born in Portland, OR. Send flowers to share your condolences and honor Kelvin Ray "Pat"'s life. It was noted on November 27th, 2018 that Carolyn Kathleen "KaKa" Klimper (Kerst) died in Fort Morgan, Colorado. Ms. Klimper was 51 years old. Send flowers to share your condolences and honor Carolyn Kathleen "KaKa"'s life. It was reported by Grand Island Independent on September 4th, 2018 that Michael A "Mike" Garcia died in Grand Island, Nebraska. Garcia was 46 years old and was born in Fort Morgan, CO. Send flowers to express your sorrow and honor Michael A "Mike"'s life. It was reported by McCook Daily Gazette on June 22nd, 2018 that Donald Melvin Smith perished in McCook, Nebraska. Smith was 90 years old and was born in Fort Morgan, CO. Send flowers to express your sorrow and honor Donald Melvin's life. It was reported on February 14th, 2018 that Ted Edwin Harding passed on in Fort Morgan, Colorado. Harding was 71 years old and was born in Grand Island, NE. Send flowers to express your sympathy and honor Ted Edwin's life. It was noted on January 16th, 2018 that Virginia N "Ginny" Christy passed away in Fort Morgan, Colorado. Christy was 87 years old. Send flowers to express your sorrow and honor Virginia N "Ginny"'s life. It was revealed by Ellensburg Daily Record on January 13th, 2018 that Gerald Lee Sr "Tiny" Allphin passed away in Ellensburg, Washington. Allphin was 79 years old and was born in Fort Morgan, CO. Send flowers to express your sympathy and honor Gerald Lee Sr "Tiny"'s life. It was disclosed on January 1st, 2018 that Dean Laverne Houlden perished in Fort Morgan, Colorado. Houlden was 81 years old and was born in Elwood, NE. Send flowers to express your sympathy and honor Dean Laverne's life. It was noted by The Villages Daily Sun on July 17th, 2017 that Kendra Jean Hosek died in The Villages, Florida. Send flowers to express your sympathy and honor Kendra Jean's life. It was written by Klamath Falls Herald and News on June 14th, 2017 that Frederick Paul Stiverson perished in Klamath Falls, Oregon. Stiverson was 97 years old and was born in Fort Morgan, CO. Send flowers to express your sympathy and honor Frederick Paul's life. 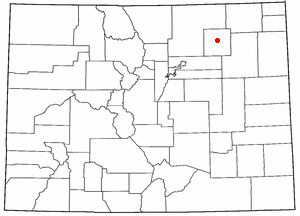 The City of Fort Morgan is a Colorado municipalities#Home_Rule_Municipality Rule Municipality that is the county seat and the most populous city of Morgan County, Colorado County, Colorado, United States. The United States Census Bureau estimated that the city population was 10,844 in 2005. . . . .
Greeley, CO 80631. Viewing from 12:30 ... Rick started his schooling at Fort Morgan attending elementary school through the eighth grade. He then attended Wiggins Junior High School and Wiggins High School, where he graduated in June of 1984. Find a Funeral Home inFort Morgan, Colorado CO to provide the caring burial and ceremonial services your family deserves. Find BBB Accredited Cremators near Fort Morgan, CO. Your guide to trusted Fort Morgan, CO Cremators, recommended and BBB Accredited businesses. Find BBB Accredited Funeral Directors near Weldona, CO. Your guide to trusted Weldona, CO Funeral Directors, recommended and BBB Accredited businesses. FortMorganTimes.com is the online website for Fort Morgan, CO, providing local news and sports coverage for the Fort Morgan and Morgan County area. We work with local florists and flower shops to offer same day delivery. You will find budget sympathy flowers in Fort Morgan here. Our funeral flowers are cheap in price but not in value.